The feelings expressed then by those family members are commonly felt by Latter-day Saints trying to cope with the suicide of a loved one or associate. The anguish and uncertainty they experience are extremely painful and difficult. Sadly, the problem touches many lives. Every year in the United States alone half a million people try to take their own lives. Fifty thousand of those succeed. Unfortunately, the problem also exists among members of the Church. Consequently, the Church has provided counsel to priesthood leaders in the form of an LDS Social Services booklet entitled Identification and Prevention of Suicidal Behavior. The act of taking one’s life is truly a tragedy because this single act leaves so many victims: first the one who dies, then the dozens of others—family and friends—who are left behind, some to face years of deep pain and confusion. The living victims struggle, often desperately, with difficult emotions. 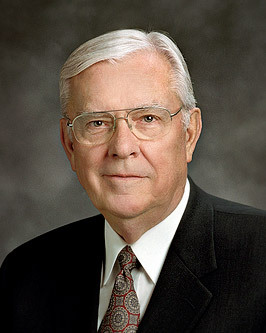 In addition to the feelings of grief, anger, guilt, and rejection which the victims of such a family feel, Latter-day Saints carry an additional burden. The purpose of our mortal lives, we know, is to prove ourselves, to eventually return to live in the celestial kingdom. One who commits suicide closes the door on all that, some have thought, consigning himself to the telestial kingdom. Or does he? What is the truth regarding suicide? The prophets have taught us some important principles about suicide, but it is possible that many of us have misunderstood. Let’s review some of the fundamental teachings of the prophets on this matter.